Jalandhar: LPU & PTU have been jointly organizing Two-Day Academic Leadership Workshop at Lovely Professional University. 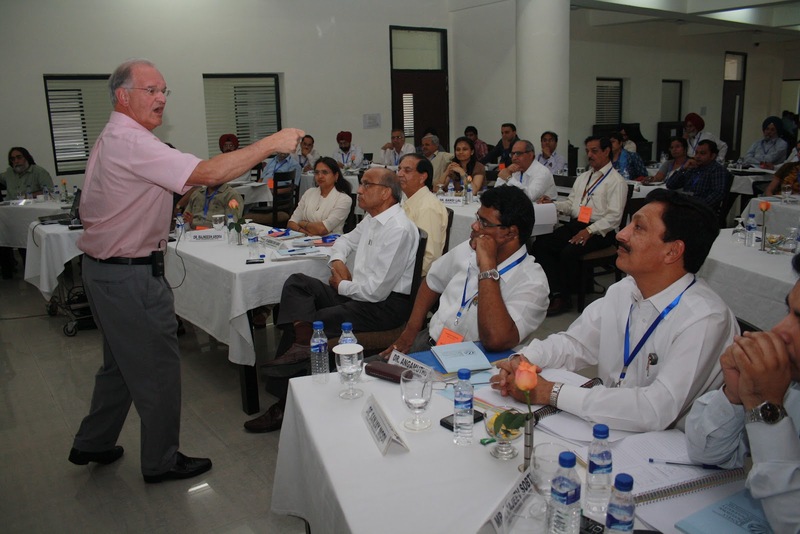 For its fruitful conduction, two US Deans, Dr James L Melsa, Dean, College of Engineering IOWA State University & Dr Walter Gmelch, Dean of the School of Education at University of San Francisco have offered Academic Leadership workshop. The best of workshop deliveries, through 13 sessions, are meant for 45 LPU and PTU's Deans, Directors and Department Heads. The entire focus of workshop remains to prepare leadership for 21st century educational systems and make world class Universities in Punjab in the next 10 years. Two Deans are supposed to spend one extra day with Top Management Team to help in preparing next five year strategic Plan- extremely important for future vision, mission, core values and objectives. Talking to Media, the Chancellor of LPU, Mr Ashok Mittal informed: “ Both Punjab Technical University and our University understand that as most of the academic heads are without any necessary training, this workshop is certain to settle them as trained academic leaders through this most important training through the hands of two prominent Academicians from the US Universities. Moreover, this activity is also to achieve excellence and become India’s leading centers of excellence in Research, Education and satisfying in solving social problems.” The prominent participants who are attending the workshop are; from LPU-Pro Chancellor Ms Rashmi Mittal, Vice Chancellor Dr Ramesh Kanwar; from PTU- Vice Chancellor Dr Rajneesh Arora, Registrar Dr HS Bains, Dean Dr Nachhattar Singh; Principal GNE Ludhiana Dr MS Saini and others. 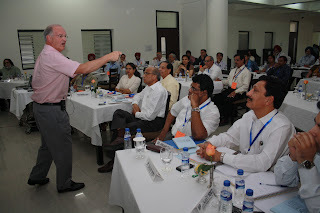 The day one of the workshop remained focused on Adventures in Academic Leadership-transition from academic to leader; Strategic thinking; Visionary Leadership; Values and Systems Thinking; Decision Making; Communications; and, Conflict Management. Welcoming the US Educationists, Pro Chancellor Ms Rashmi Mittal said: “We are thankful to the visiting US Deans who are going to make our these two days rich towards academic leadership acumen.” She also briefed that the objectives of the conduction will be to explore the trade-offs and pay-offs of leadership, to experience through simulation-the key skills of effective leadership and to develop strategies for effectively leading academic leaders. On this occasion, Vice Chancellor, PTU, Dr Rajneesh Arora emphasized that the workshop will be the most beneficial to all the participating Deans, Directors and Department Heads for their respective Institutions and Departments. Telling truisms about Academic leaders, Dean Dr Melsa told the participants: “Academic leadership is the act of building a community of scholars to set direction and achieve common purposes through the empowerment of faculty & staff. The time of amateur administration is over.” Whereas, Dr Walt Gmelch wanted all to remember: “There is no leadership cook-book. What is right for someone may not be right for others. As such, it is advised that use workshop to whet your appetite to learn more and more required. Also keep this in mind that there are differences between a ‘humanist’ and an ‘engineer’. The day two will cover the seven valuable topics: Measurements; Team-work; Facilitative Leadership; Empowerment; Performance Backing; Personal Development; and, Chairs and Deans Reading. Illustrative, Dean Dr James L. Melsa, Iowa State University, is a member of numerous honour societies and serves on many boards and advisory councils for academic and professional programs. He has co-authored 11 books, including Linear Control Systems, a classic text used around the world, and 111 papers. On the other hand Dean Dr. Walter H. Gmelch has conducted research and written extensively on the topics of leadership, team development, conflict, and stress and time management. He has published numerous articles, books, and scholarly papers in national and international journals; and, is author of three books on team leadership. He is also editor for Academic Leadership, and the Center for Academic Leadership Newsletter. Both the Deans have received numerous honours and awards. this is the best part of LPU that they make their student best..!! !